Techbuyer is a global leader in the buying, refurbishing and selling of data centre equipment. Not only do we sell brand new IT parts, we also buy used parts such as servers, memory and storage and turn them into low-cost, quality refurbished IT equipment. Founded in 2005, Techbuyer has grown from a company run by just two people, to a global organisation with multiple warehouse facilities located worldwide. 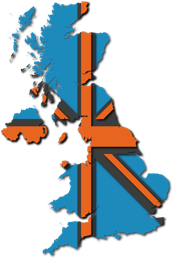 We have decades of experience in buying used data centre equipment and selling new and refurbished IT parts, and have worked with thousands of private and public sector organisations across 83 countries worldwide. From our seven world-class facilities in key locations worldwide including the UK, Europe, USA and Asia Pacific, we stock a huge global inventory of over 225,000 IT parts including big brands such as HP, Dell, Intel, IBM and Cisco. We are committed to helping you with any IT requirements you may have. Which is why in addition to buying and selling new and refurbished data centre equipment, we also offer a number of other IT services. These include a free configure-to-order (CTO) server service, IT collection services, blind shipments, IT disposal, flexible IT rental and IT leasing options as well as a 24/7 IT support service. We are constantly striving to help our customers in any way we can, so if you have any thoughts on ways in which we can improve our service, then please let us know.